You already know you need a marketing calendar for your business to succeed. But it’s not enough just to create one; you’ll need to use it right to make it truly effective for your business. 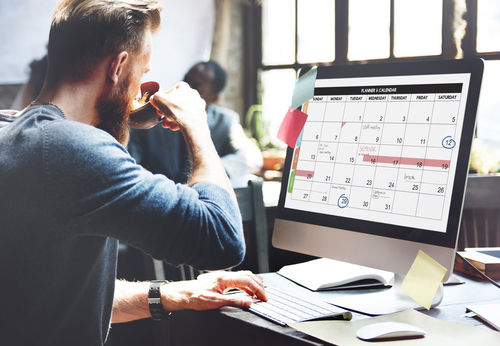 We’re sharing our tips on how to utilize your marketing calendar for top-notch marketing campaigns. Sprout Social and other media management software put your calendar into action. Software like this schedules your messages across a variety of social media platforms and brands. For easy access to the marketing calendar, use a spreadsheet in the cloud. At Divvy, we like to use Google Spreadsheets. Live updating and easy sharing make it simple for everyone to stay up-to-date on the latest information. Whatever you use, make sure it’s accessible, clear, and updates easily. Your users, whether only in the marketing department or across various parts of your company, will appreciate it! Use your marketing calendar with other departments in your company. Sharing access to the marketing schedule means your products and advertisements can be ready to go by the time the online content and campaigns are ready to go. A coordinated, company-wide effort between production (including design), marketing, and sales helps everyone stay on track. When the final product is ready to go, it’ll be easier to get out on time, and will be more successful to your clients. Using your marketing calendar from year to year can help you target the best times of year to run campaigns. While it might seem like the best idea to be constantly running a campaign, your clients may not agree. If your products and services are always on sale, customers may either find the emails/ads annoying or believe you’re hard up, whether you are or not. Space out your sales and big promotions. Leaving that gap between campaigns keeps customers hooked for when there is a sale or new item. Having some space between your campaigns also can help your production and marketing teams gear up for the next one more easily. This can make your new promotion an even bigger success. Create accountability by adding due dates for each person responsible. You could try doing this by adding columns if you’re using a spreadsheet, or by sending automated reminders and follow-up to each person responsible. You’ll be sure that everything from product creation to advertisement design to actual posting is done on time. This can help a campaign run much more smoothly. Remember: the best marketing calendars are flexible! This lets others contribute, or allows for when an idea doesn’t work out. It also makes it easy to change gears and incorporate what does if you turn out to have a wildly successful campaign. There is no real right or wrong way to build a marketing calendar. Its success comes from shaping it to fit your business! Want to make your marketing efforts succeed? Call us today or fill out the contact form below.